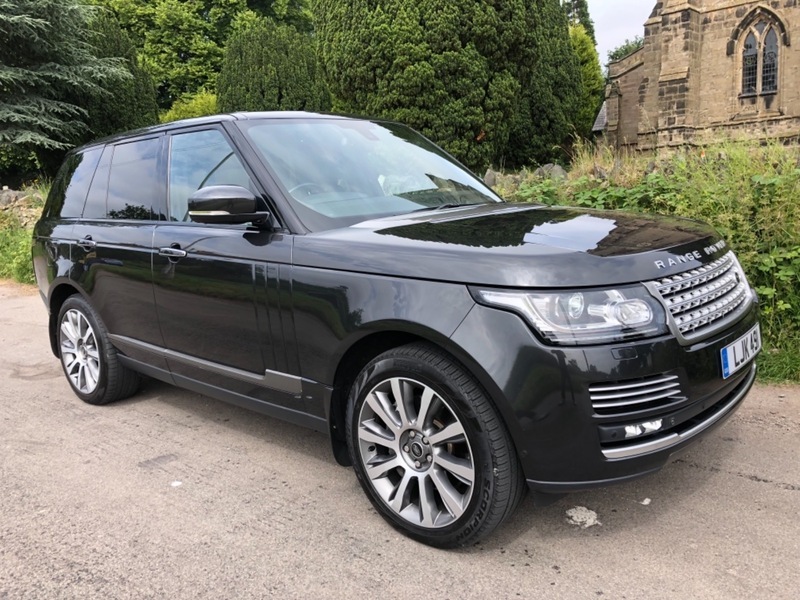 **NOTHING TO PAY UNTIL NOVEMBER 2018**THIS FANTASTIC RANGE ROVER VOGUE SE 4 SEATER EXECUTIVE SPEC 4X4 HAS JUST ARRIVED INTO STOCK WITH US HERE AT GETACAR. SOURCE - We are fortunate enough to have acquired this vehicle from a close friend of the business. CONDITION - It has been incredibly well maintained by its 2 former keepers. The vehicle has FULL SERVICE HISTORY with DIGITAL HISTORY UP TO 42K Then Specialist Land Rover Book Stamped History, and has covered a guaranteed 71,374 miles. PRESENTATION - It looks stunning presented in Metalic Grey. It boasts a well looked after FULL LEATHER BLACK Interior that is in Fantastic condition for its age and mileage. SPECIFICATION - It benefits from OUTSTANDING FULL ON Specification including: REAR SEAT ENTERTAINMENT, DUAL TOUCH SCREEN SATELLITE NAVIGATION, FRONT AND REAR HEATED LEATHER SEATS, VENTILATED ELECTRIC MASSAGING LEATHER MEMORY SEATS, HEATED STEERING WHEEL, PRIVACY GLASS, PANORAMIC GLASS SUNROOF, KEYLESS ENTRY, BLUETOOTH, ADAPTIVE XENON HEADLIGHTS, CLIMATE CONTROL, MERIDIAN AUDIO SYSTEM, FRONT AND REAR PARKING SENSORS, REVERSING CAMERA, Plus Much, Much, More, GETACAR- We offer fantastic part exchange valuations, industry leading extended warranties, and all of our vehicles are HPI clear. All our cars are fully prepared to a high standard and will be fully valeted prior to sale. Please call to discuss this fantastic car in more detail. Family run business, open 7 days. PRIVATE REGISTRATION IS NOT INCLUDED IN THE SALE OF THE VEHICLE.